Corporate teambuilding cooking events are a great way to improve team morale, boost group communication, and increase productivity among the employees. Are you looking for an effective, unique, and fun way to bond with colleagues while in Barcelona for business meetings? A cooking team building event will leave you and your guests smiling long after the cooking is done. 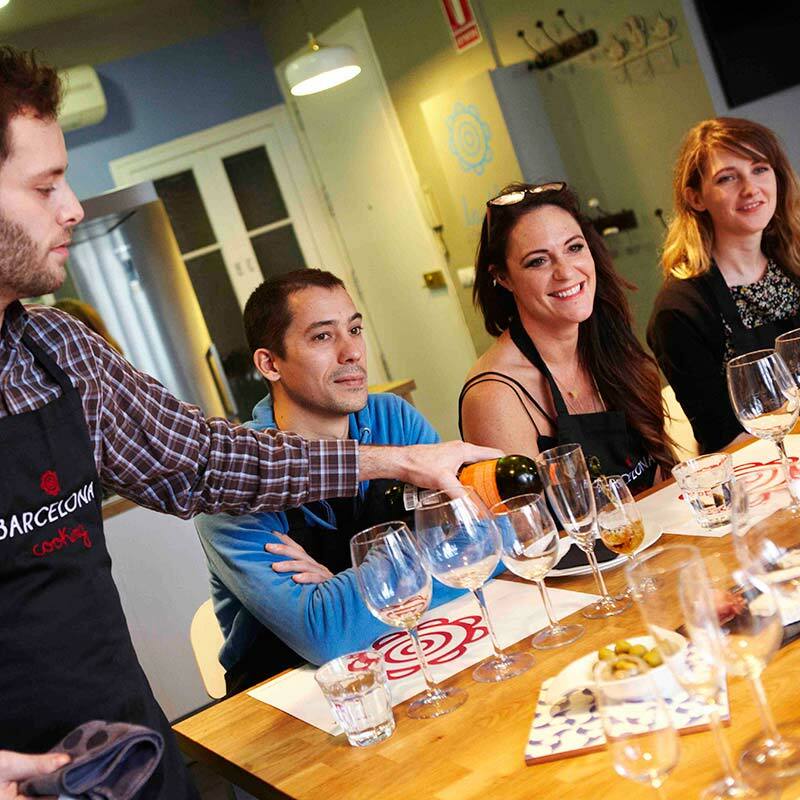 Here at Barcelona Cooking, we offer a variety of corporate teambuilding cooking events. Each event is designed to be fun, educational, interactive, and engaging. You and your teammates will participate in the preparation of the various dishes under the thoughtful guidance of our chef instructors. Your group will discover how to achieve their objectives by working as a cohesive team through communication, planning, and leadership. We have a typical menu, but we can also customize our menu to fit your specific needs or dietary restrictions. Premium Spanish wines are always included. Most events last 3 to 4 hours. We have hosted a number of corporate teambuilding events in our kitchens, and some of our past business guests include: Microsoft, Moleskin, Aerport de Paris, BASF, SAP America, GE, Flormar Cosmetics, US Foods.